CONSPIRACY CORNER: Have American Presidents made treaties with other-worldly aliens? Treaties with Aliens: Did the US Government led by President Franklin D. Roosevelt sign a Treaty with ‘Grey’ aliens in July 1934? This Treaty supposedly revolved around the Grey aliens (tall thin ones with large heads and almond) being given free reign and could go unchallenged in their pursuit of humans and animals for experimentation in order to continue their work on an alien genetics program. The alleged meeting between high ranking US officials – including President Roosevelt and representatives of the Greys – is alleged to have taken place aboard a US Naval vessel in Panama on the 11th July 1934. One stipulation the US Government demanded in the agreement was that they be provided with a list of an agreed number of abductees that the Greys had targeted and that these people be returned to wherever they were abducted from with any memory of the abduction and what took place during it erased. It is alleged that there are 2 main reasons for the Grey aliens abducting Humans and performing experiments on them. The first reason is to monitor human evolution and the second is to enable them to continue work on an Alien genetics program. Grey aliens went back on their word and eventually broke the terms of the agreement – abductions increased exponentially over agreed levels and it was felt that the Grey aliens were becoming more and more hostile. It was also felt that the US Government weren’t getting as much as they hoped from the deal as the Greys were holding back on the level of information on the technology that they were supposed to be handing over. By the time Dwight Eisenhower became President in 1953 it became clear that the Grey alien problem was going to continue and in fact was becoming worse, so Eisenhower and his administration decided that something needed to be done. Eisenhower himself was said to have been a strong believer in Alien beings after an experience he had during World War Two. In 1954 President Eisenhower had had enough and decided to meet with another race of alien beings known as The Nordics at Holloman Air Force Base in front of many witnesses. While the official story says that he was in Palm Springs, California vacationing, he was actually at Holloman Air Force Base for the last of three meetings with aliens known as Nordics, due to their appearance. Nordics are typically described as six to seven feet tall with long blond hair and blue eyes. Their skin is said to be fair colored and they are reported to be in excellent physical shape. The Nordics are alleged to have offered to get rid of the Grey aliens. Eisenhower however baulked at the deal when it became apparent that these aliens would not be willing to provide any information or technology as the Greys were doing. Around this time the US public’s interest in aliens and UFOs was in overdrive. Countless reports of ‘flying saucers’ – as they became known – were being made every day and after the incident at Roswell in which two live aliens (one died shortly after and the other allegedly lived until 1956) were reported to have been recovered from a stricken alien craft, the number of calls to emergency services and the US Army and Navy regarding these flying saucers sky rocketed. UFOs suddenly became something of a pop culture phenomenon, so much so that the US Government felt that something had to be done to divert the public’s attention away from all things alien. President Eisenhower’s administration felt that in order to accomplish this the only thing that would work would be to give the people something that was very real and very ‘earthbound’ – for want of a better word – to worry about. And so marked the beginning of ‘The Cold War’. President Eisenhower and high ranking officials from his administration met with their counterparts in the Soviet Union and it was agreed that the Grey aliens posed a huge threat to Planet Earth and they had to be stopped or at least reasoned with. It was in humanity’s best interests for this information to be kept from them and so they agreed to a ruse which would keep the ordinary people firmly focussed on earthly affairs. The threat of ‘Mutually Assured Destruction’ and psychological warfare proved to be just what was needed. Within five years of this alleged meeting the Soviets had launched ‘Sputnik’ in 1957 – the World’s first artificial satellite and the Americans set up NASA in 1958 – which was authorised by President Eisenhower, allegedly as a response to the Sputnik launch. These two events were key in the Space Race and were seen to be a part of the larger Cold War. There were significant advancements in military, technology and science thanks to the Space Race and to the ordinary people here on Earth this was seen as all part of the Cold War, when in fact this was all to aid in the fight against hostile Alien species – of which there are many. It is alleged that there are at least 18 different alien species who are all monitoring Earth, its people and their progress. Some of these species though are considered benevolent, even going as far as helping the Earth at times, while other races are considered extremely hostile. Recently there have been a number of reports that have given detailed information regarding the sighting of UFOs in the vicinity of a number of US nuclear missile bases. It is alleged that on more than one occasion all nuclear missiles at several different locations have been simultaneously deactivated by UFOs, although the official US Air Force investigations carried out into these incidents have said that they were in fact stopped by Senior National Security Personnel for unknown reasons. There have also been a number of UFOs witnessed by military observers shooting down missiles during flight testing. These missiles are said to have been capable of carrying nuclear warheads. There are many people who believe that ‘full disclosure’ on alien beings isn’t too far away and one has to wonder that if indeed man has been in constant contact with alien beings since the 1930s, why then has it taken so long for the powers that be to come forward and tell us what a lot of people already know? Is it to protect us from some of the more hostile beings among them? Is it for their own selfish reasons such as not wanting the ordinary man on the street in on the secret? One things is for sure, full disclosure will happen sooner or later! My name is Gerard, I’m 27 and I live in Belfast with my wife and two kids. 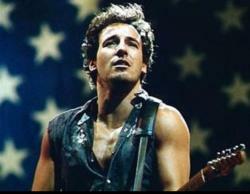 I’m a lover of all things sci-fi and I’m a self-confessed Bruce Springsteen super fan. My favourite super hero is and will always be the Man of Steel himself – Superman. Some would say that I have an unhealthy interest in conspiracy theories but that's what THEY want you to think!